Got any spare empty pop cans around your house? Here is an easy solution for the materials required to make a high efficiency solar heating panel. Aluminum cans are readily available. And the thin aluminum the cans are made from have excellent heat transfer properties. 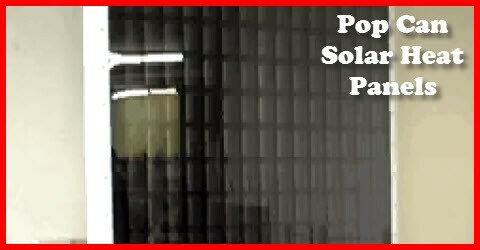 Expose a column of pop cans, painted black, to the sun and the air inside is instantly heated. Watch the video to see these panel being made. am hoping to give one thing again and aid others such as you helped me.